What is Plastic Injection Molding ? Plastic Injection Molding is a most common way to produce plastic parts with injection mold tooling and injection machine. Injection moulding uses a ram or screw-type plunger to force molten plastic material into a mould tool; and this material solidifies on the mold tooling to obtain the desired shape or parts.(products). Since injection molding has good repeatability and stability, it is widely used in the world to manufacture volume products. 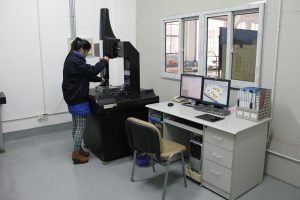 When a mold trial or an injection molding production, we need to locate the plastic injection mold from mold tooling shop (warehouse) onto a plastic injection machine. Since the mold tool is so heavy, we have to use a crane to move and lift it. By four big screws to fasten the mold on injection machine tightly, it is very important process, because the fastening force will directly affect the clamping force. As you know, the injection molding process is that the molten plastic material flows into the mold tool. To perform this process, we must pre-bake the material to reach a certain of temperature. If we don’t do this process, the molded parts might come with defects or not full filled. When it’s time to start injection molding process, we should keep the two half mold(cavity side and core side) closed tightly on injection machine. If we don’t clamp the mold with proper force, there will result in a flash defect for injected parts. However different size of mold requires different clamping force. Normally, the bigger mold would need larger tonnage of injection machine. After injection process, the molten plastic material with high temperature stays inside of mold cavity. Since every mold is designed with cooling system( water or oil), which helps the filled plastic to cool down and solidify. And finally it will form an desired part. When there is uneven thickness of wall, there is likely to exist some shrinkage defect on the parts. Of course, the shrinkage issue could have many potential reasons. But cooling system is one of the most important factor for parts shrinkage. It’s time to take out the injection parts from a mold tool, but we have a special device for this process(ejection pin or ejection plate). The injection machine will collaborate with mold tool to push out the parts and fall down from mold tool. Up to now, we can say the whole injection molding process is finished. 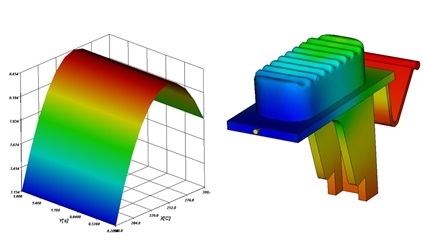 Compared to other manufacturing process, plastic injection molding has big advantage on complex part geometry, it means you can design a part with as possible as the product functions. This is what any other molding process or machining process can never beat it. As we know, there is a mold tool on injection machining while injection molding process. It takes seconds or minute to get a plastic parts. The manufacturing cycle is quite short compared to CNC machining or other molding process. Therefore it’s easy when you are going to produce it in large volume. It’s easy to custom make a plastic parts with different color and material, it is very convenient for a new product development that requires lots of adjustment. As we know, any of product development might change a lot so as to optimize a better products. If you design a plastic parts, you can make engineering change easily and conveniently. Up to now, plastic injection molding is the most cost-effective way to obtain products. Because the cost of resin and manufacturing process is much lower than metal machining or other molding process. This is why nearly every products contains plastic parts. 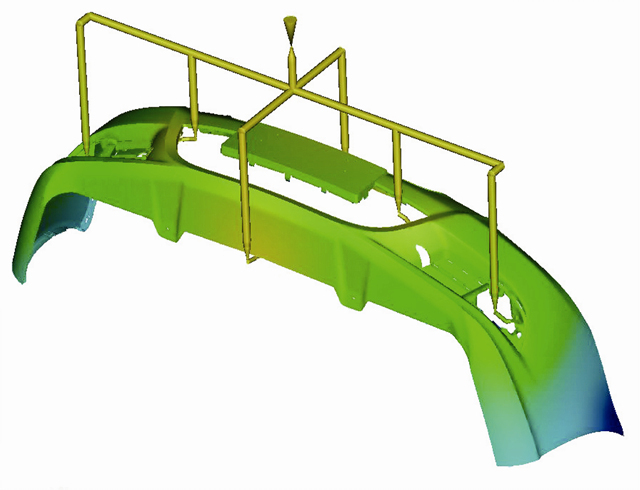 Shrinkage – The material reduction portion after the plastic product cools from mold tooling. Normally there will be a shrink mark on the surface a plastic product. Deformation – When the final plastic product come out from injection machine, the product looks not straight obviously or measured by a certain equipment. Flow marks – An outstanding pattern existing on the surface of plastic product, it normally result by slow injection speed. Short Shot – The molten plastic does not fully fill in the mold cavity, resulting in a portion where lacks plastic material. Welding line – It’s also called the juncture line where normally happens on round feature that two flow fronts meet and are unable to join together during the injection molding process. Burn Marks – It looks like rust colored, that appear on the surface of the injection molded products. 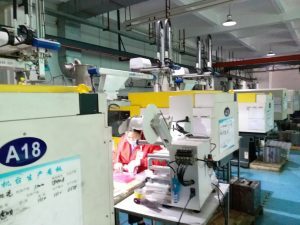 Inno Molding is a leading plastic injection molding company in Shenzhen China, we provide precision plastic injection molding services to worldwide clients in application of automotive, medical, consumer electronics, home appliance, and other commercial products. Our injection molding shop is equipped with 30 sets of advanced injection machines. All of injection molded parts are 100% inspected with dimensional, visual, and functional before shipping. So that our clients will get high quality products from us. We are an ISO9001-2008 & ISO14001-2004 certified enterprise.Every our project starts with professional team that consists of project managers, project engineers, production manager, QC manager, QC inspector, and shipping manager. Normally we check products by dimensional measurement, cosmetic inspection, and assembly testing. Finally we document those data and make enclosure along with shipment to customer for review. Full dimension inspection for all of mold components.